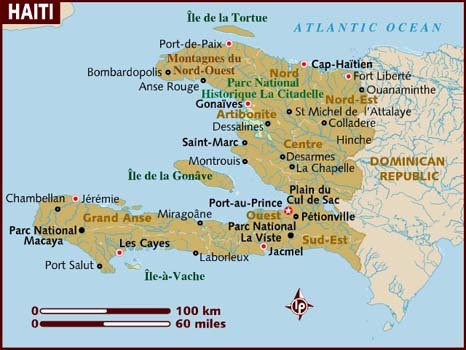 A few facts before we get to the tragedy, that is being well covered by others already…and just so we’re all on the same page…Haiti is in the Caribbean, and comprises the western one-third of the island of Hispaniola, between the Caribbean Sea and the North Atlantic Ocean, due west of the Dominican Republic, which comprises the rest of the island. in total it is slightly smaller than the State of Maryland, and a population of around 9 million. a virtual paradise by the look of it. However approximately 80% of the population lives below the poverty line. 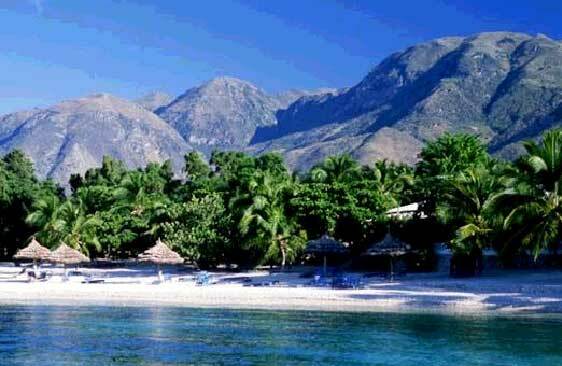 Today this island paradise was hit by a devastating 7.0 earthquake that has killed, estimates run as high as 10% of their population, almost 100,000 people. Bodies were piled along the streets, entire neighborhoods were destroyed, the President’s Palace, hospitals, schools, even the main prison reduced to rubble. Just last April Donor Nations had pledged $324 million over the next two years to facilitate economic recovery of the poorest Nation in the Americas. Haiti was, and is especially now, in desperate need of relief, if you can help it would be greatly appreciated by the Haitians and the relief workers and agencies providing this much needed assistance. However, as always, I caution you to be very careful who you donate to, these types of tragedies have a way of bringing out all the parasites that feed on other people’s misery. It is always best to give to a local relief agency that is well known and trusted. •The American Red Cross is pledging an initial $200,000 to assist communities impacted by this earthquake. They expect to provide immediate needs for food, water, temporary shelter, medical services and emotional support. They are accepting donations through their International Response Fund. •UNICEF has issued a statement that “Children are always the most vulnerable population in any natural disaster, and UNICEF is there for them.” UNICEF requests donations for relief for children in Haiti via their Haiti Earthquake Fund. You can also call 1-800-4UNICEF. •Oxfam is rushing in teams from around the region to respond to the situation to provide clean water, shelter, sanitation and help people recover. Donate to Oxfam America online. •The UN World Food Programme is gathering all available resources to deliver food to the recently homeless and impoverished in Haiti. Baptist Haiti Mission is operating an 82-bed hospital that is “overflowing with injured.” Donate online to BHM and 100% of your donation will go to the relief effort. Added by admin on January 13, 2010.
some of my friends who work in haiti were also victimized by that terrible earthquake.- i was very thankful that they only suffered minor scratches. Definitely a tragedy. Especially for the children.